In May of last year, Google announced it was bringing Google Assistant to iPhones. Today, the same can be said for iPads. Hooray, iPads! As you can see in the header image above, with iOS 11, iPad owners can multitask pretty well with an Assistant panel open alongside other apps. Other than that, it should be the same Assistant you know and love, capable of controlling your smart home, checking weather, calendar events, plus everything else. 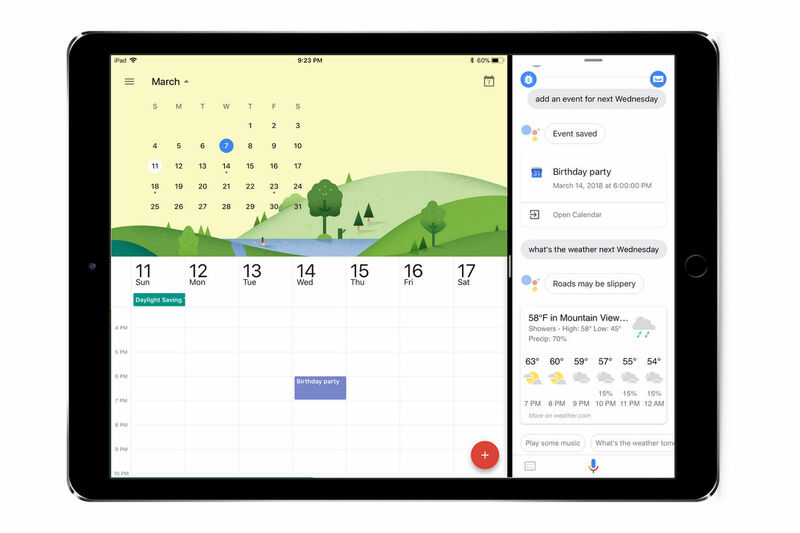 Assistant for iPads is rolling out today!